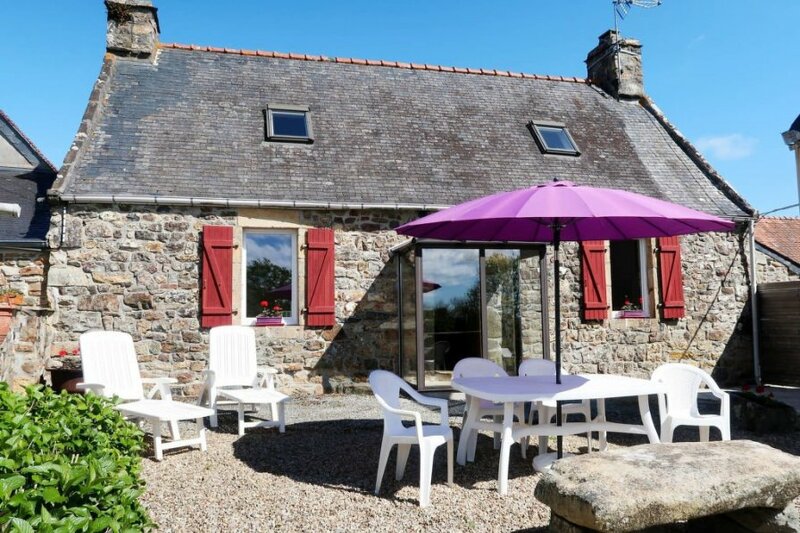 This 2 bedroom house is located in Lanvéoc and sleeps 4 people. The house is near a beach. Detached house, 4 people, 3 room/s, 2 bedroom/s, 1 bathroom/s, approximately 66 m², 2 floor/s. Furnishing: functional, rustic, tiled floor, linoleum floor.